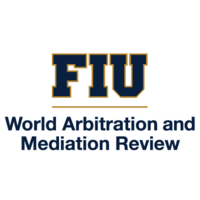 The world of arbitration and mediation in Latin America and the Caribbean is constantly changing. The international domestic and dispute resolution landscape that affects the countries of this region has been touched by the adoption of new legislation, treaties and judicial doctrines and also by fluctuations in the flow of foreign investment. Another key aspect is the interplay between the region and other players from other jurisdictions, namely the United States, Europe and Asia. This inaugural conference organized by the World Arbitration and Mediation Review (WAMR) and presented by Florida International University (FIU), Juris Publishing (JP) and the Center for Arbitration and Mediation of the Chamber of Commerce Brazil-Canada (CAM-CCBC), will promote thought provoking discussions and a practical exchange of ideas on the current state of the legal and institutional framework, the impact of political events and other practical issues, on the development and use of arbitration and mediation in the leading Latin American and Caribbean jurisdictions vis-à-vis the United States and other parts of the world. The program will feature a slate of first-rate speakers drawn from prominent practitioners with vast experience with transnational disputes. Continuing Legal Education: Florida and or New York State CLE available upon request. * ONLY available to full-time academics [with no law firm affiliation], government employees, and full-time in-house corporate counsel. ** Wire transfer information and student rate contact – jhernandez@jurispub.com. The decision to take a dispute to arbitration or mediation always involves an assessment of the infrastructure available in each relevant jurisdiction. The main factors to consider are: what laws are in place, how are those laws interpreted and applied, which ones are the best dispute resolution facilities, institutions, and how sophisticated and experienced is the legal profession in each jurisdiction. This session will feature a dynamic discuss about the main features of the leading Latin American and Caribbean jurisdictions for arbitration and mediation. Legal expertise throughout Latin America and the Caribbean: Lawyers, judges and experts. From the adoption of new legislation, to landmark judicial rulings and the accession to the ICSID Convention and other treaties, the Latin American and Caribbean landscape of arbitration and mediation has undergone important changes that are likely to affect the industry. This session will feature a discussion about the main changes that have occurred and their potential impact on the practice of arbitration and mediation in the region and beyond. This is the first part of a session primarily focused on the enforcement of both foreign and domestic arbitral awards and settlement agreements in Latin America and the Caribbean. The discussion will go beyond the comparison among the recognition and enforcement regimes, and focus on the prevailing strategies, best practices and most common challenges. This is the second part of a session primarily focused on the enforcement of both foreign and domestic arbitral awards and settlement agreements in Latin America and the Caribbean. The discussion will go beyond the comparison among the recognition and enforcement regimes, and focus on the prevailing strategies, best practices and most common challenges.